Australia’s longest running point-to-point mountain bike race, the iconic Triple-R Mountain Bike Challenge (formerly the RRR) just got a whole lot bigger. Held on north Queensland’s iconic Bump Track, the former RRR was once a MTB race that started in the Port Douglas hinterland and ended on Four Mile Beach 35km or 70 km later. Taking pole position as the world’s most epic course on pure scenery alone — hurtling down the western edge of the Great Dividing Range, through rainforest and cane fields, before finishing on Tropical North Queensland’s famed Four Mile Beach — the ‘bucket list’ track has inspired a mega new event. 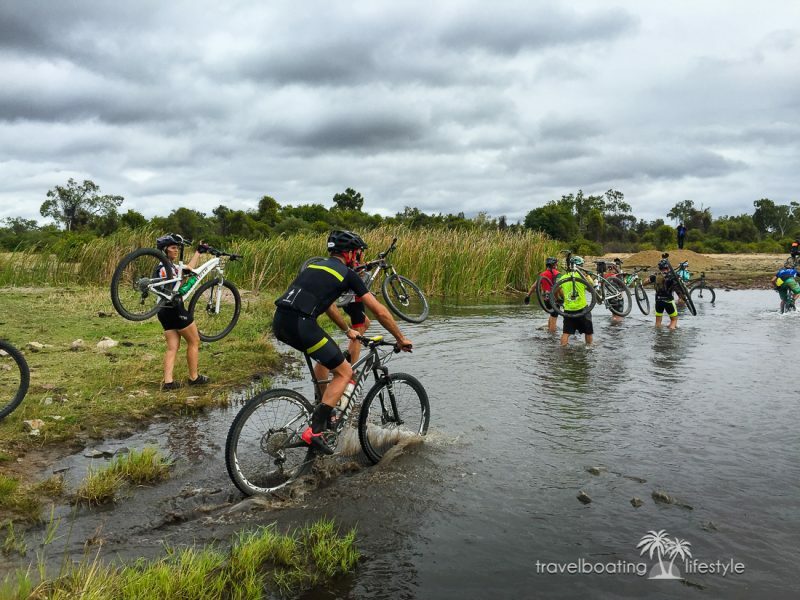 Kicking off next August, a rad four-day mountain bike stage race, Reef to Reef, has been created under the global IRONMAN umbrella. The Triple-R, which is short for Rural, Rainforest and Reef, still features the Bump Track, an historic trail carved out by gold miners, leading to the establishment of Port Douglas in 1877. In fact, so important was the Bump Track that, until 1933, when the Captain Cook Highway was opened, it remained the only road out of Port Douglas. During World War II, amid fears of potential invasion, land mines were laid along a half-mile section of the track, only to be detonated after the war. It was not until the 1970s that local motorcycle enthusiasts re-opened the Bump Track, before seventh-generation Cairns local, Glen Jacobs – best described as Yoda in international mountain bike circles – expanded the trail to create the Triple-R in 1991. Jacobs, through his company World Trail, has created every world cup, world championship and Olympic course in Australia and hundreds of recreational tracks and trails in more than 20 countries. Since 2010, the Triple-R has been part of the multi-sport Cairns Airport Adventure Festival (6-11 June 2018), culminating with the Cairns Airport IRONMAN Asia-Pacific Championship and IRONMAN 70.3 Cairns. Nodding its cap to mountain biking as the fastest-growing adventure recreation sport on the planet, IRONMAN raises the curtain on the inaugural Reef to Reef just four months after the Commonwealth Games, from 9 to 12 August 2018. 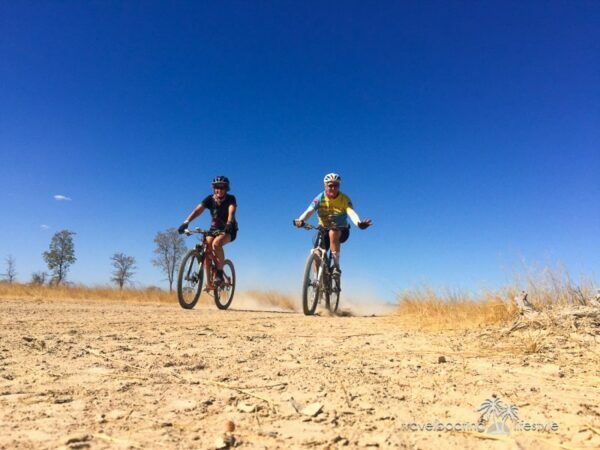 Importantly, the new mountain bike event retains the one-day Triple-R as a hero race on 12 August (offering both the 35km and 70km course), coinciding with the final day of the four-day Reef to Reef. Complementing IRONMAN’s successful Port to Port (Newcastle) and Cape to Cape (Western Australia), Reef to Reef also incorporates: Stage 1 (Smithfield MTB Park – 30km); Stage 2 (Davies Creek MTB Park – 50km); Stage 3 (Mount Molloy – 60km); and Stage 4 (Wetherby Station to Port Douglas – 55km). 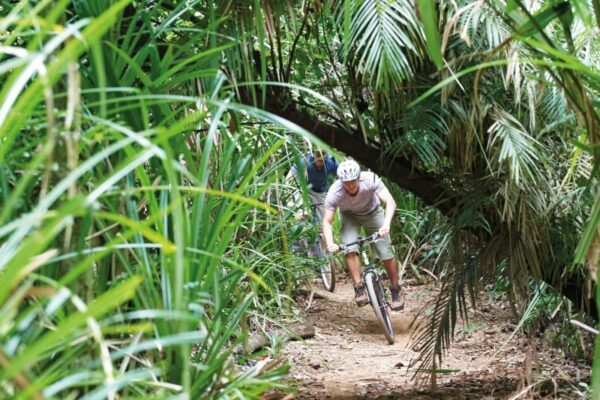 Tropical North Queensland – the only place on Earth where two World Heritage-listed icons meet (Wet Tropics Rainforest and Great Barrier Reef) – is home to 700km of documented mountain bike trails, catering to all levels, from first-timers to pro-riders. 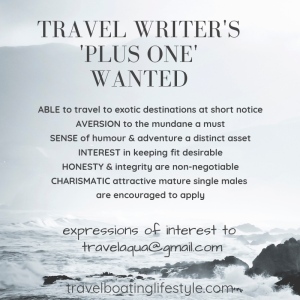 Check out Ride Cairns to browse all options, from Cairns to Kuranda, the Atherton Tablelands, Cassowary Coast, Port Douglas and Daintree. 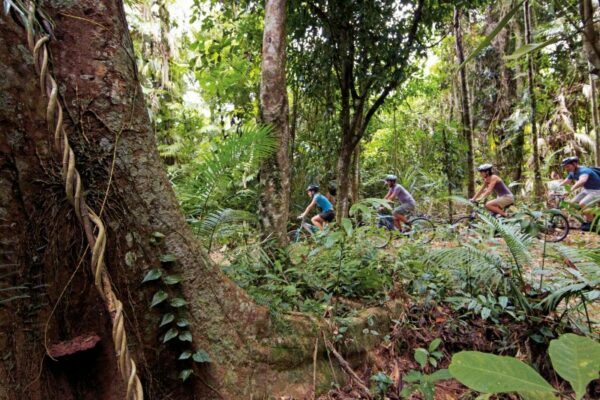 Read more about mountain biking in north Queensland.